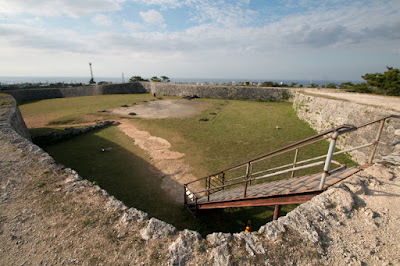 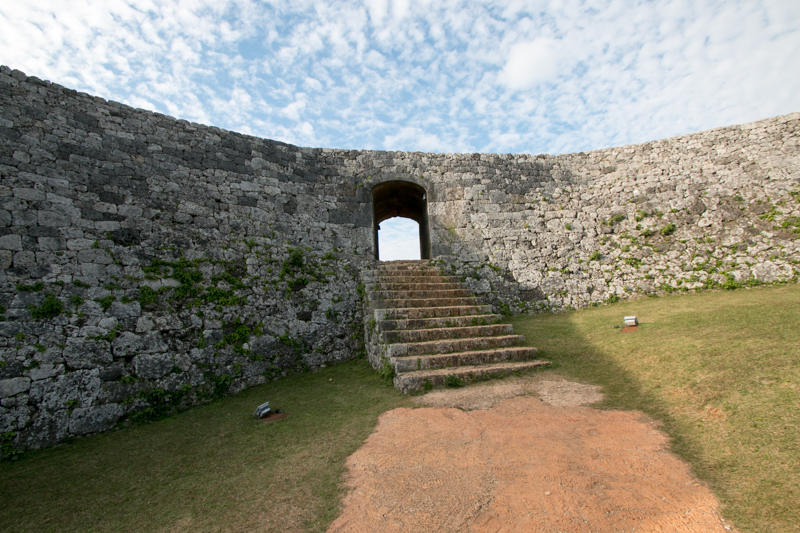 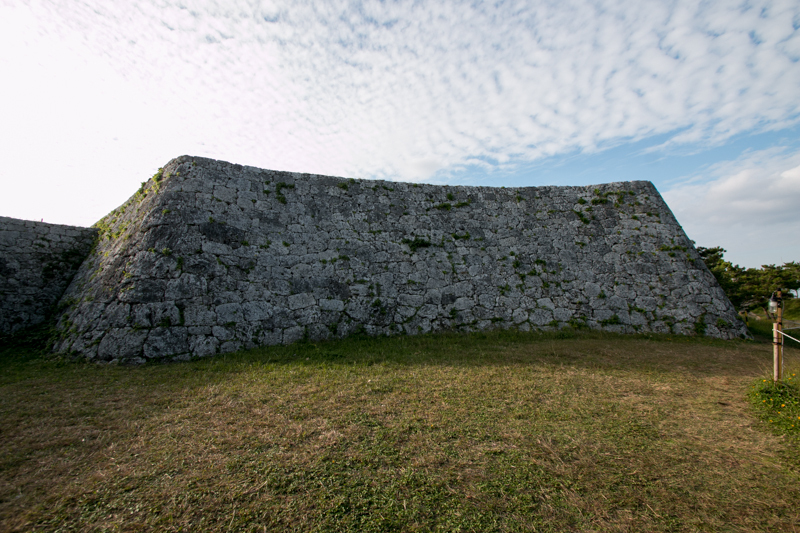 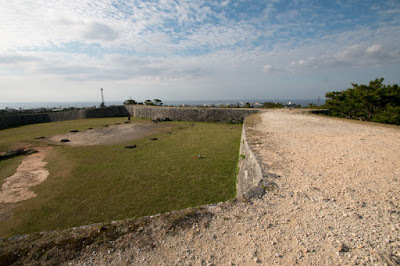 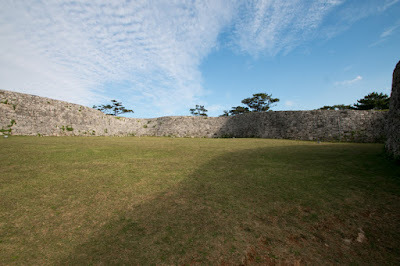 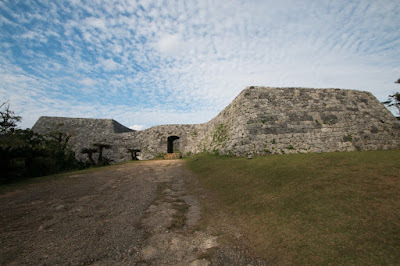 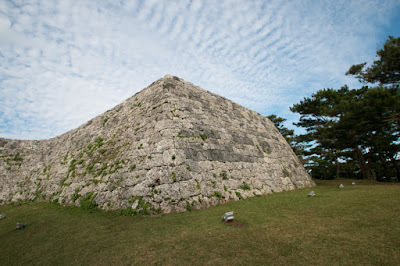 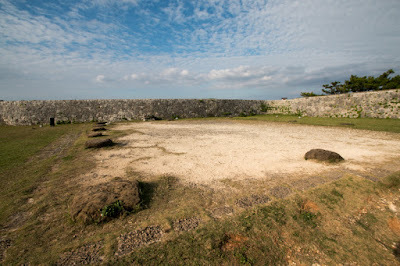 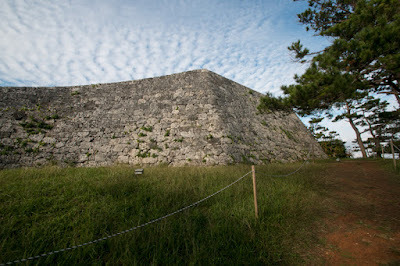 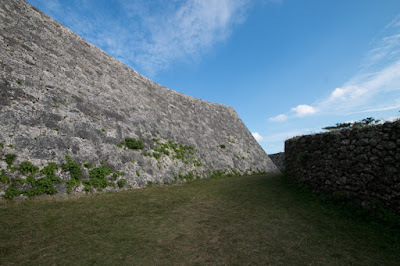 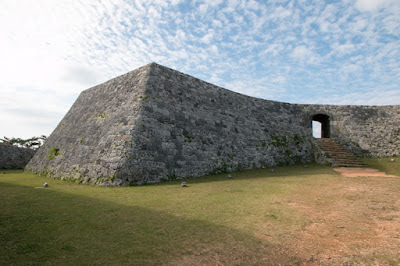 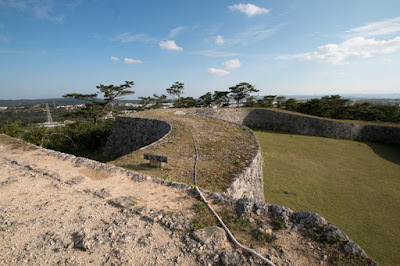 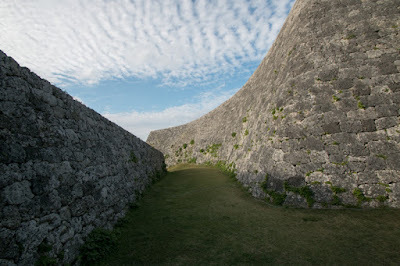 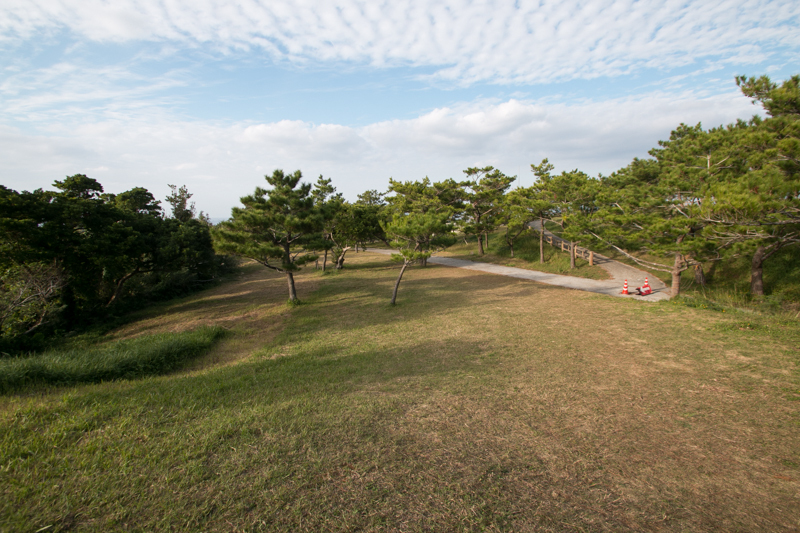 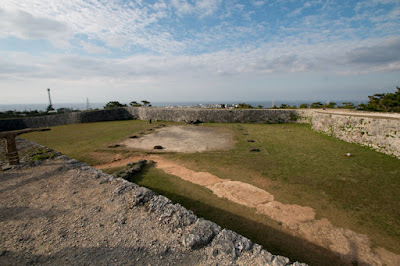 Zakimi castle (座喜味城) is located on the hill at 1km inland from Cape Zanpamisaki, at west coast of middle Okinawa island. 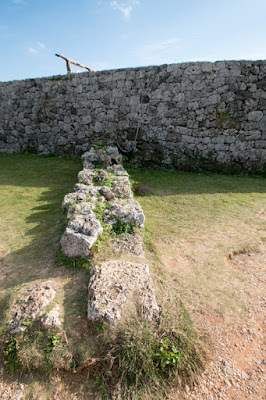 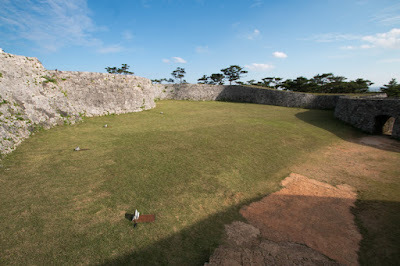 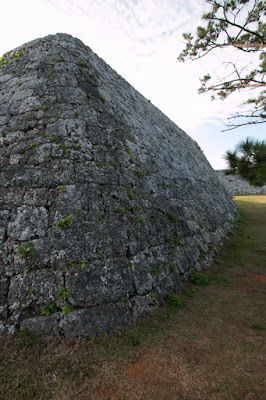 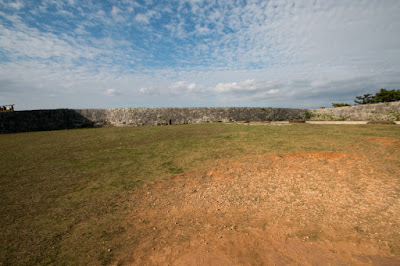 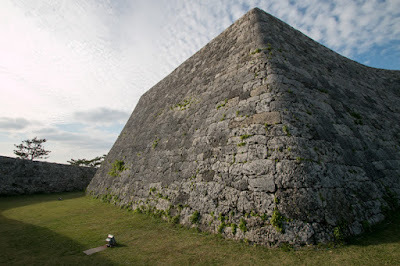 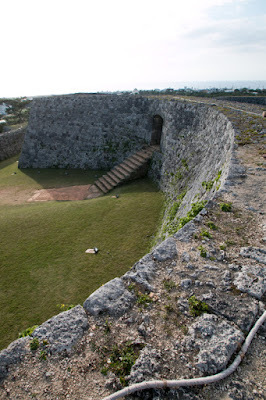 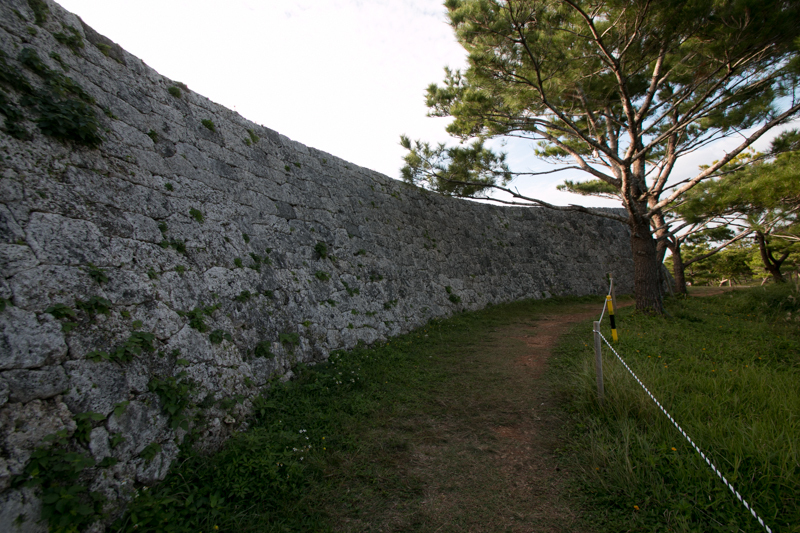 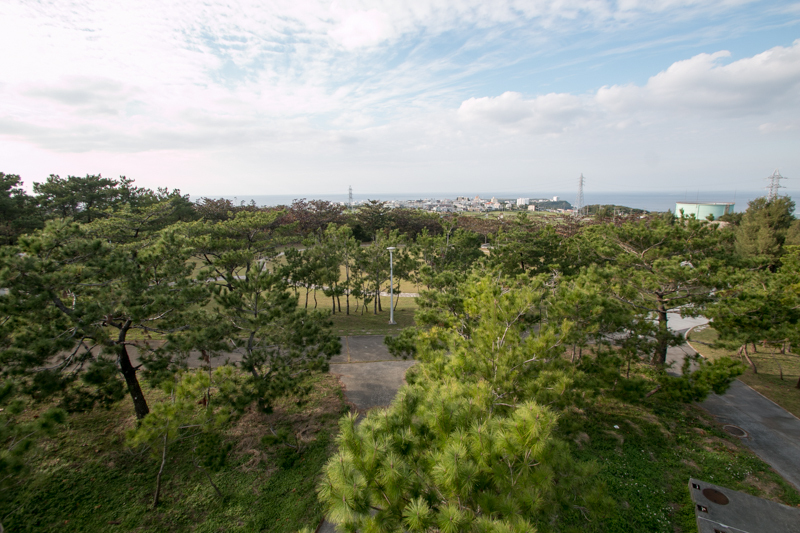 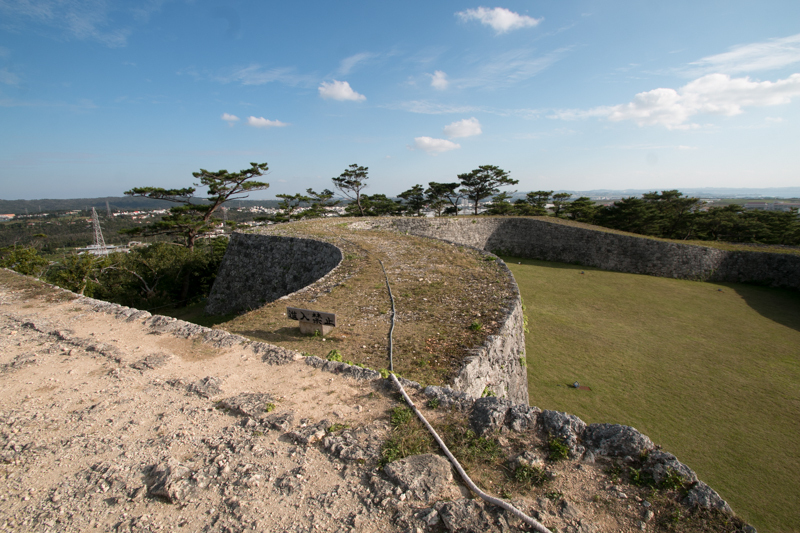 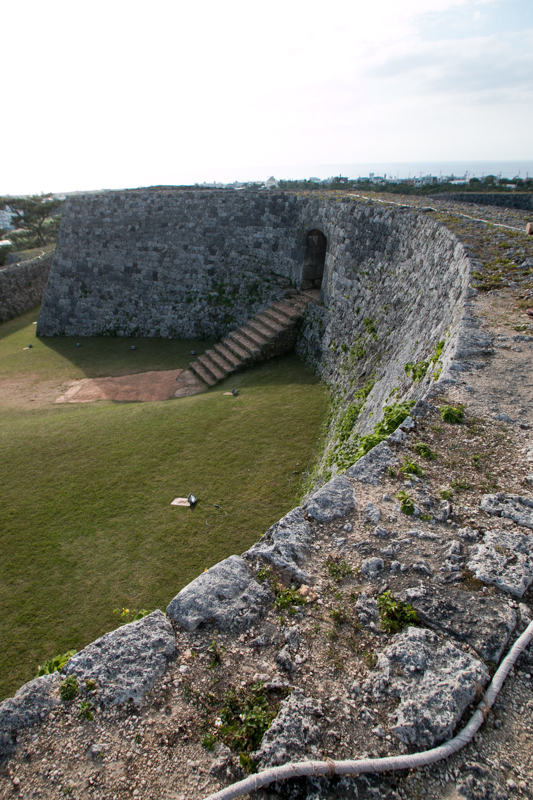 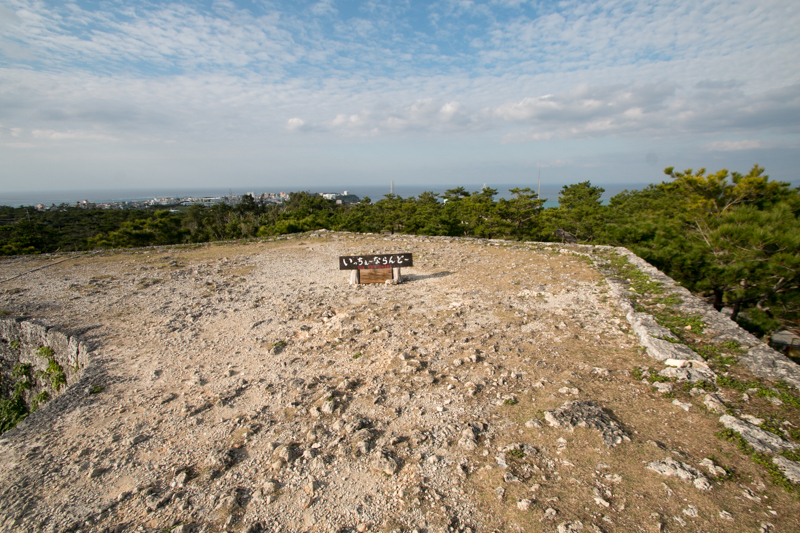 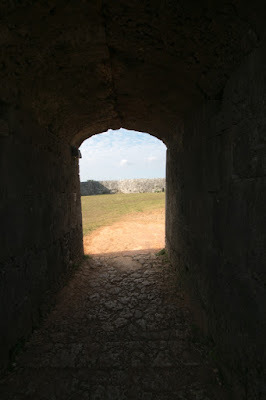 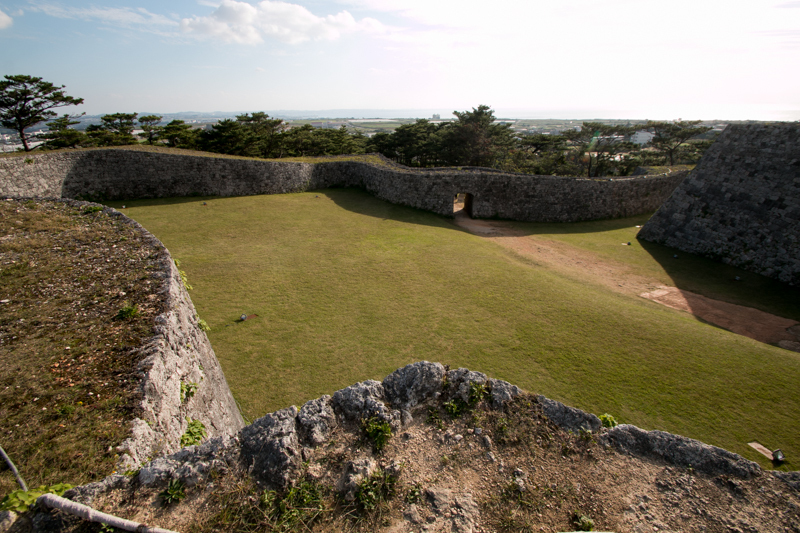 The location of the castle is at the north edge of plain area at southern half of Okinawa island. 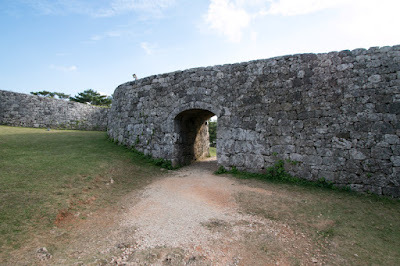 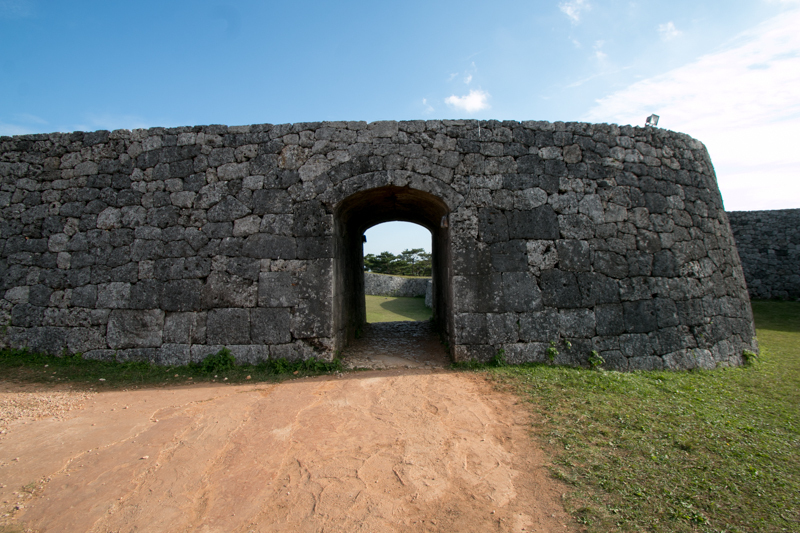 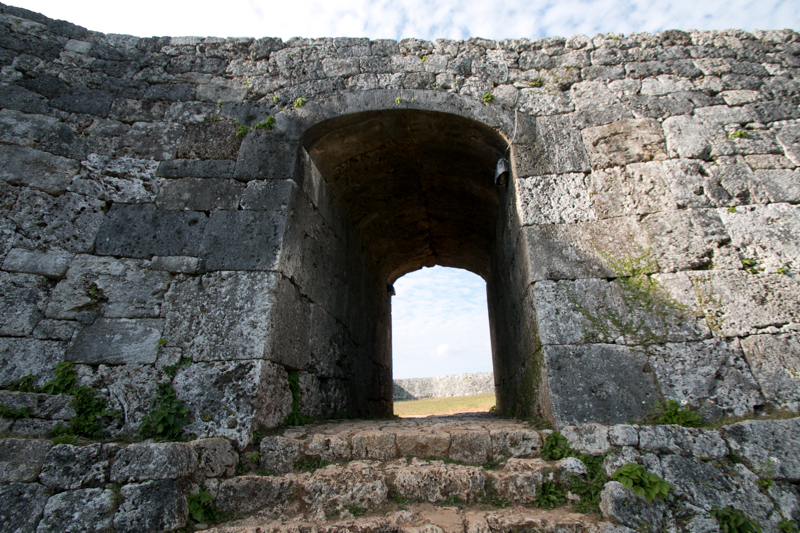 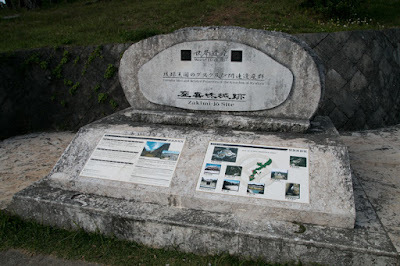 Along with Katsuren castle and Nakagusuku castle, this area served as gate from northern part to central area of Okinawa island. 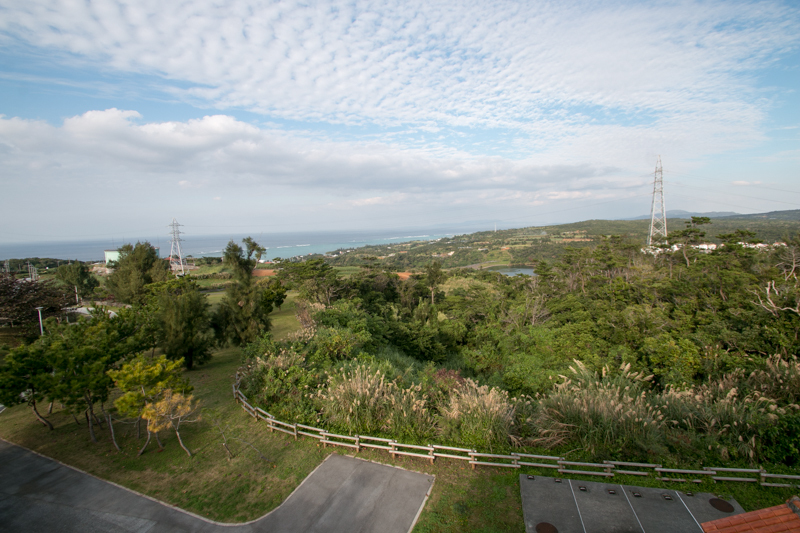 Standing on the hill facing sea we can see the wide area of west coast of Okinawa island, and it was an appropriate place to watch naval communication. 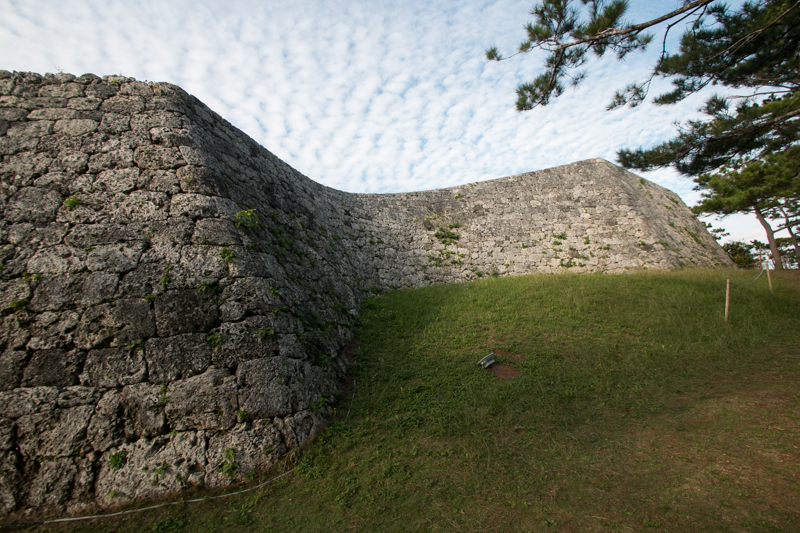 Zakimi castle was built by Gosamaru (?-1458), an excellent general of Sho dynasty, at the beginning of 15th cemtury. 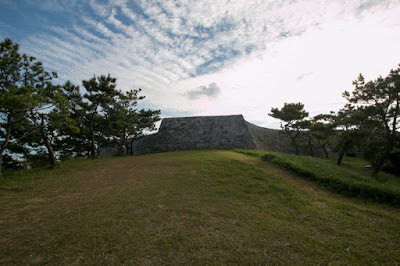 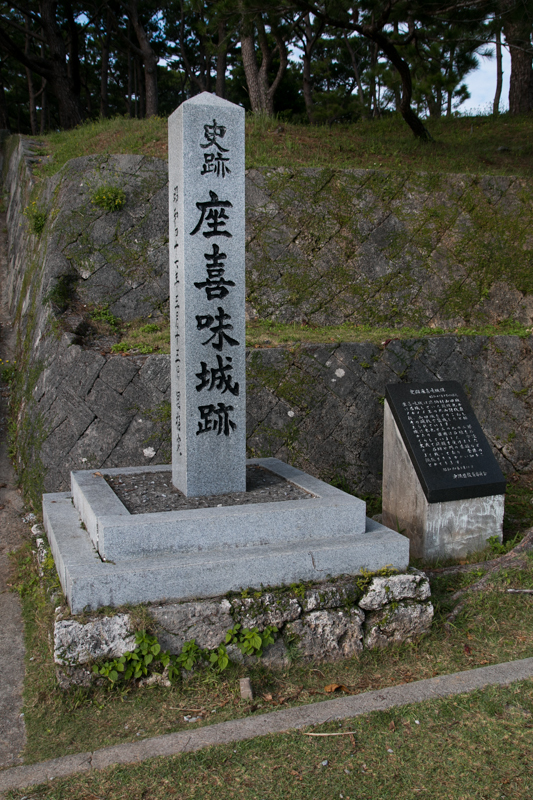 In 1416, Sho Ha Shi (1372-1439), king of Sho dynasty, extinguished Hokusan kingdom located at Nakijin castle and placed Gosamaru as a guard for northward at this place. 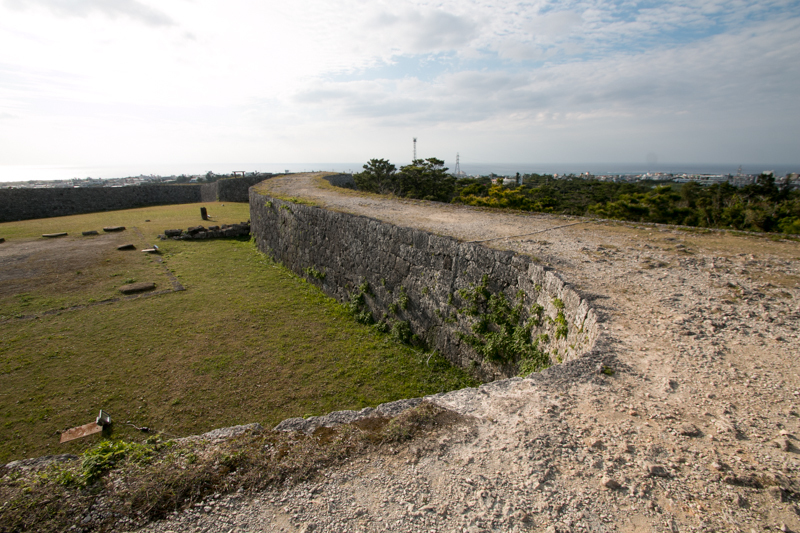 After 6 years construction Gosamaru built a new castle on this site and stayed until 1440 when he was moved to Nakagusuku castle by order of king. 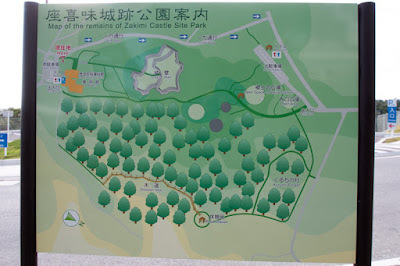 Zakimi castle mainly consisted of two areas. Main area is located at the top of hill, and its shape of the area is like a starfish restricted terrain of the hill. An arched entrance is at the front side, and at the north half of the central area there remain a square basement of building made by stones, and palace of commander might be located on here. Secondary area guards before front gate, and also has an winding wall. 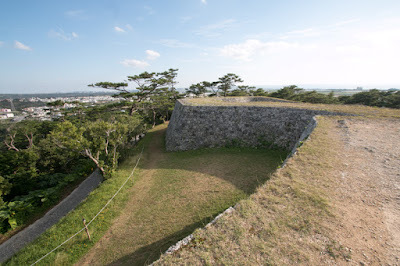 Different from Nakagusuku castle which was also built by Gosamaru, this castle was not built assuming specific enemy, and the character of the castle is close to the house of lord. 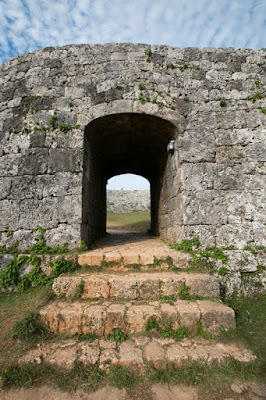 For that reason, even though not large this castle has an elegant exterior. Once the basis of Rukyu kingdom became stable this castle ceased to be used. 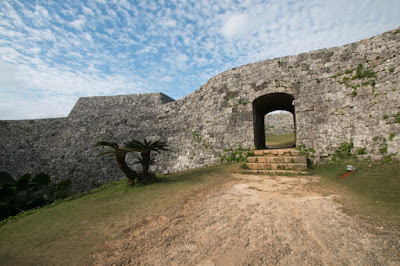 During WW2 the ruin of this castle was partially destroyed, but after the war damaged area was restored. Now this castle attract many visitors with white winding walls and beautiful arch under blue sky, as if it is a house of Mediterranean islands.